Bill Clinton is no longer the President of the United States, but he is still using the bully pulpit aspect of the office to orchestrate real change in the world. 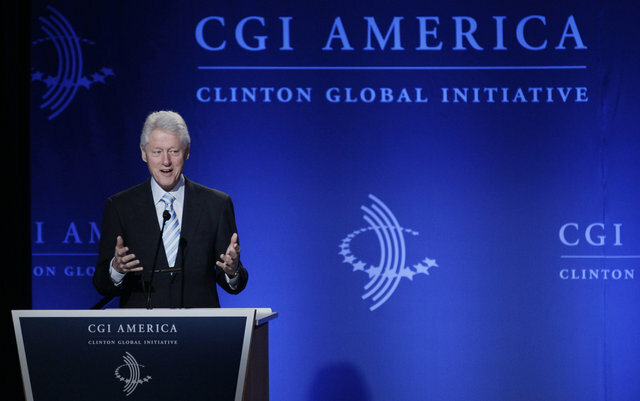 For the last seven years Mr. Clinton’s day job has been as head of the Clinton Global Initiative (CGI). Richard Stengel, managing editor of Time, refers to Mr. Clinton as “global philanthropist in chief.” CGI has secured almost $70 billion to address some of the world’s most complex and continuous problems: HIV/AIDS, climate change, poverty, children’s health, food production, women’s rights and conflict resolution. In Mr. Clinton’s own words, “ I started the CGI in 2005 to help turn good intentions into real actions and results.” The model CGI uses to affect change is not to raise money per se, but rather to bring world leaders together so that they can share information, examine collective problems, make plans and then agree on “effective and measurable commitments to action.” To date, participants have developed more than “2,100 commitments to action,” which in turn have had a direct impact on the lives of nearly 400 million individuals.